Part v: What about Free Education for All? The cost of your education isn’t just the money you spend. It’s also the long hours you spend studying. It includes the opportunity costs of things you couldn’t do while studying and paying for your education. This is going to be a short post. Both Bernie Sanders and Alexandria Ocasio-Cortez have proposed making higher education free for anyone who wants a college degree. Free higher education will solve the problem of student loan debt, but it is a short-sighted solution. A long time ago, Robert Heinlein wrote a story about California addressing the income inequality between those with a college education and those without by granting all citizens a Bachelor’s degree on their 18th birthday. 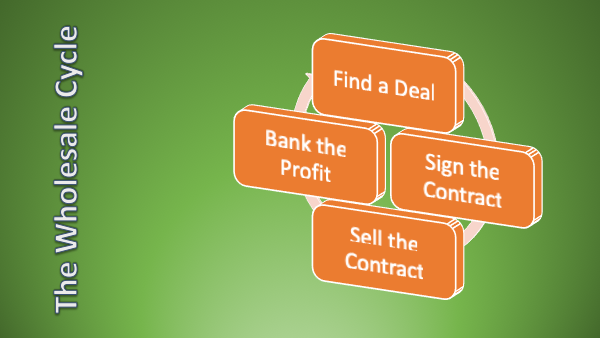 I love how graphics always make a process seem so much simpler than it really is. But seriously! 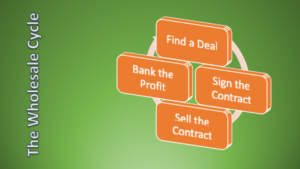 Wholesaling is the best way for many people to get into this business. Those who are great at marketing choose to make it the only thing they do. You knew I’d eventually bring this thread back to real estate investing. Didn’t you? Well, of course I would. Let’s not talk about the fact that it takes me three posts to describe a two-part solution. You gotta take care of these little darlings. They can help or hurt you. I want to follow up on Lee’s last blog about first-time home buyers. He mentions that credit is the most important thing that you can have! He is absolutely right! I ruined my own when I got my first credit card at 18. I was so dumb! I got the bill in the mail and my minimum payment due was $25.00. I bought the money order, filled it out, put a stamp on it, and just stayed too busy to mail it. That’s stupid. There’s no way to make myself feel better; it was dumb. So when the next bill came in, I just didn’t bother. Actually, I applied for two more cards, and just let them go too. I had no idea what I was doing in the real world of paying bills, or how I would affect my future self who wanted to buy a house. What happened was that my credit bottomed out, and I ended up with negative remarks on my credit. Everything was turned over to collections, and I paid them that way. That doesn’t really help. Your credit report still shows that you were turned over to collections. Austin is still the number one place in the country to move to. 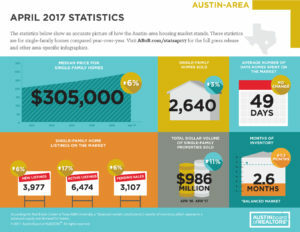 There are so many reasons why, but with the lack of affordable housing options in Austin, millennials are expected to have to save for almost 10 years before they’re able to purchase a home. The Austin Board or Realtors shared this graphic. In the Austin-Round Rock MSA, median sales price for single-family homes was $305,000. In Austin (in Travis County), the median price was $370,600 during the same time period. Home prices remain more affordable in the surrounding Hays and Williamson counties, but their home prices are also rising the fastest. Hays County’s median home price was $267,500, while Williamson County’s was $275,000. The lack of supply is one of the main reasons residential real estate is skyrocketing. The Austin monthly housing inventory was two months as of March, whereas the Real Estate Center at Texas A&M University estimates a six-and-a-half month level is needed for a balanced housing market. Millennials, including those recent graduates, make up more than one-third of Austin’s population. They are looking for attractive, smaller homes close to amenities and major thoroughfares. But it’s increasingly difficult to find areas where that type of home can be built. In addition to the fact that they’re just starting their careers, estimates claim that today’s college graduates average around $37,172 in student debt. According to the National Association of Realtor’s Aspiring Home Buyers 2017 profile, 59 percent of non-homeowners do not feel comfortable taking on a mortgage when they have student loan debt. There is some good news out there, though. 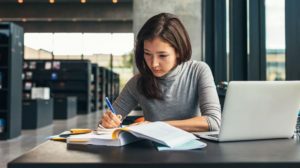 Fannie Mae has announced changes to how they treat student loan debt, which can make the difference in qualifying for a home mortgage. For the 5 million borrowers who participate in the reduced payment plans, actual payments are considered for calculating debt-to-income ratio rather than maximum payment amount. The noted changes could make it possible for would-be buyers with student loan debt to buy a home now and not have to wait for many years. Not to be included in the debt-to-income (DTI) ratio is non-mortgage debts being paid by another party for at least 12 months. An example would be payments made on student loan debt by parents. These payments would not be counted as DTI ratio for the student. 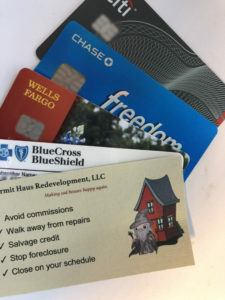 Debt Paid by Others: Widens borrower eligibility to qualify for a home loan by excluding from the borrower’s debt-to-income ratio non-mortgage debt, such as credit cards, auto loans, and student loans, paid by someone else. Need help figuring this stuff out? Give us a call at 512-807-8777.